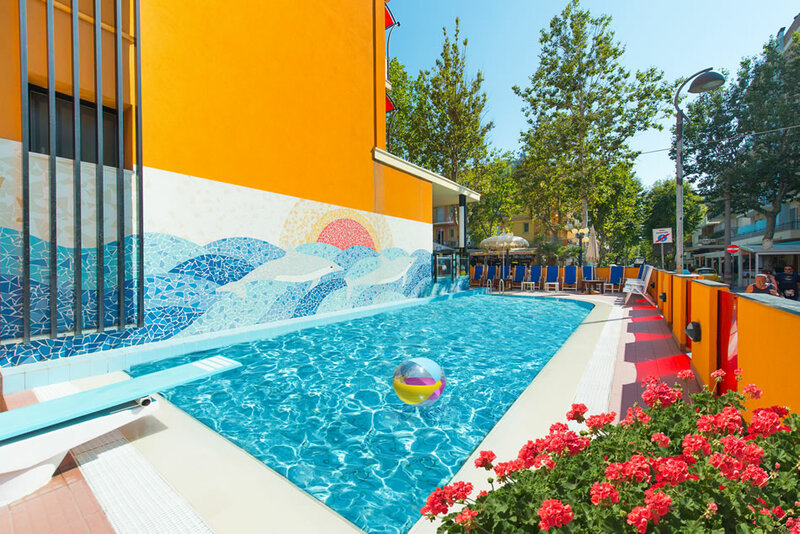 What's better than a refreshing swim during a hot summer day? 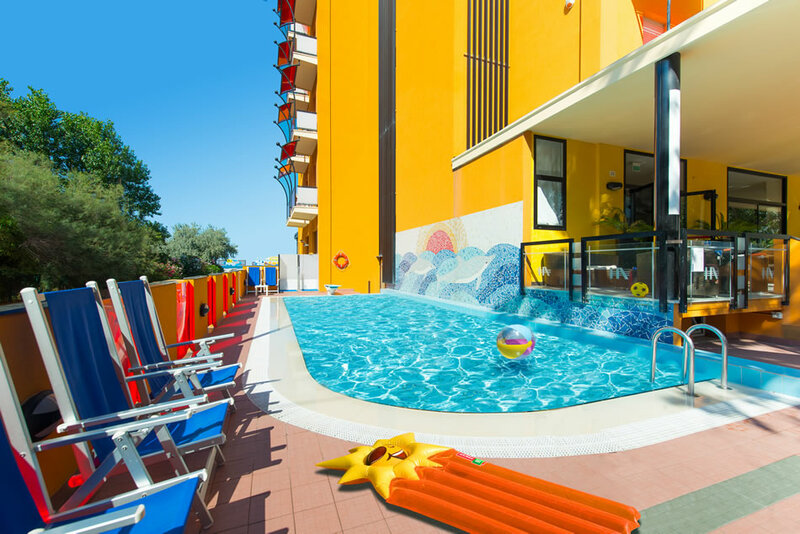 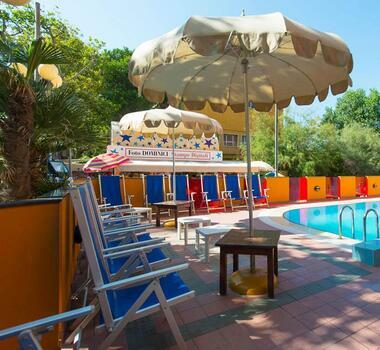 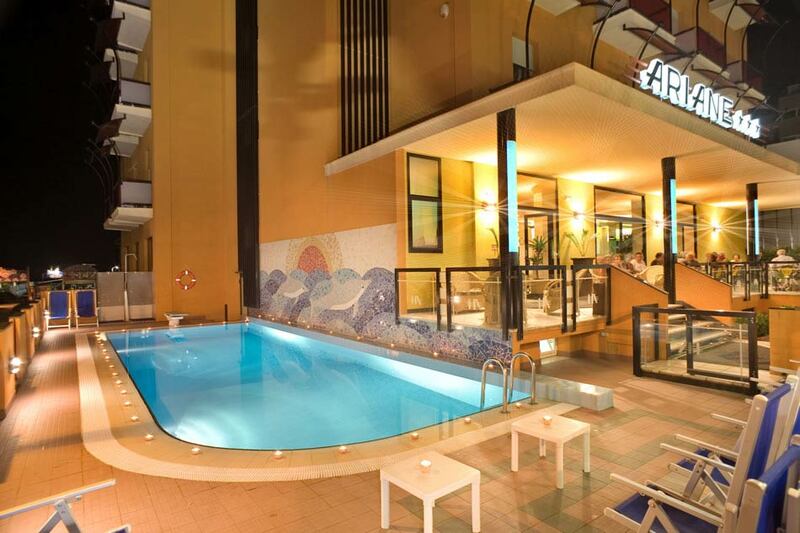 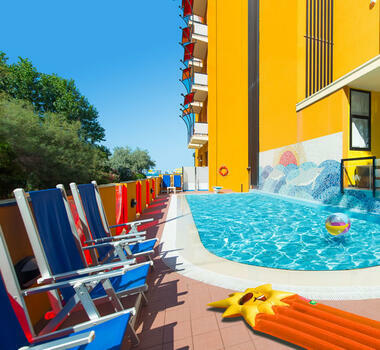 The swimming pool of Hotel Ariane in Rivazzurra of Rimini, a few steps from the sea, is located in a sunny position and it is ideal for those who want an alternative to the beach in a more secluded place. 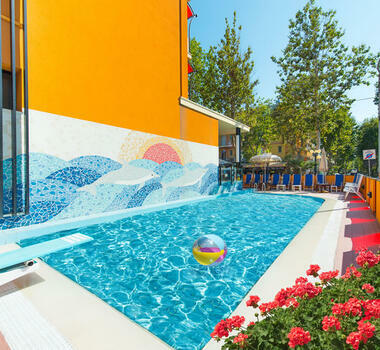 Diving in the water will be a pleasure because the pool is a bit heated and allows even the most sensitive to the cold to enjoy a refreshing bath. 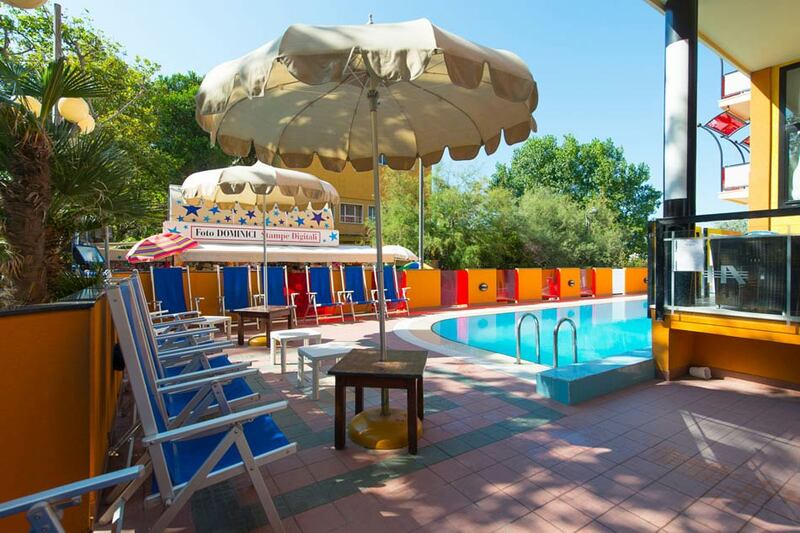 You can enjoy magical and relaxing moments in the solarium which is equipped with reclining chairs where you can stop to read a book, sunbathe or drink a fresh cocktail of our American Bar. 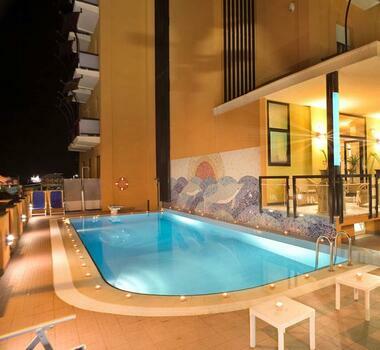 And when you want to go back to the beach, you can reach it in only two minutes and you don’t have to cross the road!